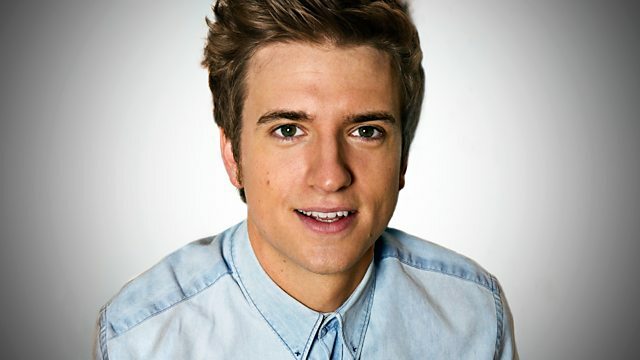 Greg James contrasts the experiences of British troops in Afghanistan with those involved in World War One. Greg James hears from British troops who served in Afghanistan as they contrast their experiences with those who fought in World War One. Mixing new interviews from Afghanistan veterans with archive of those who endured the trenches, this Radio 1 story brings out the universality of experience of going to war: the joining up, the camaraderie, the killing, the trauma and the loss, as well as asking questions such as do all wars change those who fight in them in similar ways? The Afghanistan veterans also reflect on the stories of their relatives who fought and died in The Great War and what they went through. And just as the nation will be debating the rights and wrongs of World War One, this new generation of veterans from Britain's latest conflict consider what they believe has and has not been achieved in Afghanistan. All of the interviews are with veterans who have left the Armed Forces, many of whom were wounded during active service. They include Lance Corporal Peter Cosgrove who served with the 2nd Royal Tank regiment in Afghanistan. He was six weeks from finishing his tour when his vehicle was hit by an enemy bomb, breaking his left leg and shattering his foot. Since leaving the army, he has battled with Post Traumatic Stress Disorder. Peter reflects on what his family went through in WW1. Of his three uncles who served in the war, Lewis and Fred Cosgrove were killed while Jessie survived - although he was injured and mentally scarred by his experiences. Peter is proud that, just like him, his great uncle Jessie joined the Tank Regiment and he has that connection going back a 100 years. Other interviewees include former Royal Marine Lance Corporal Pete Dunning who lost both his legs after his vehicle was hit by a roadside bomb. Another double amputee Captain David Henson dealt with nearly twenty bombs in Helmand but stepped on an IED in a compound he was trying to clear. Both he and Pete Dunning consider themselves lucky to be alive. David Henson reflects on the bravery of his Great Great Grandfather, Private Michael Heaviside who won the Victoria Cross in WW1 for rescuing an injured man under fire in No-man's land. Other contributors include Private Luke Hardy of the Parachute Regiment who did three tours of Afghanistan as a sniper, Flight Lieutenant Laura Posthumus who looked after the welfare of soldiers doing combat roles and Joe Glenton who, as a conscientious objector, refused to go back to Afghanistan for a second tour. This is the first of three documentaries on the subject of war. Next week's Radio 1 Story is War Children; and MP3 War will be broadcast on Monday 18th August.